Social media have changed the way politicians communicate with and relate to their constituencies during election campaigns and routine periods alike. Many scholars have postulated that populists would benefit most from the new digital media. Despite their growing importance, few studies have addressed the features of online populist communication and how to assess its success. The purpose of this article is to fill this gap by providing a framework for the analysis of populist communication on social media. Taking the case of Italy’s Lega Nord (Northern League (LN)) as an example, the article will clarify which aspects of online communication are most valued by LN supporters, in relation to both the key elements of populism (references to ‘the people’, ‘elites’ and ‘others’) and the expression of an emotional style in the messages. The article analyses the controlled communication that LN and its leader, Matteo Salvini, published on their Facebook profiles during a sample period of 30 days. Our findings demonstrate that populism, emotional style and, in general, the role of the leader as a source of communication positively affect the ‘likeability’ of a message. Ernst, N., Engesser, S., Büchel, F., Blassnig, S., and Esser, F. 2017. 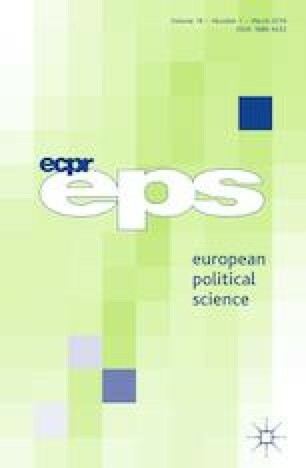 Extreme parties and populism: an analysis of Facebook and Twitter across six countries, Information, Communication & Society, advance online publication 29 May, https://doi.org/10.1080/1369118X.2017.1329333. Kioupkiolis, A., and Seoane Pérez, F. 2018. Reflexive technopopulism: Podemos and the search for a new left-wing hegemony. In Populist discourses and political communication in Southern Europe, symposium, European Political Science, ed. S. Salgado and Y. Stavrakakis. https://10.1057/s41304-017-0140-9. Salgado, S. 2018. Where’s populism? Online media and the diffusion of populist discourses and styles in Portugal. In Populist discourses and political communication in Southern Europe, symposium, European Political Science, ed. S. Salgado and Y. Stavrakakis. http://10.1057/s41304-017-0137-4. Stavrakakis, Y. and Katsambekis, G. 2018. The populism/anti-populism frontier and its mediation in crisis-ridden Greece: From discursive divide to emerging cleavage? In Populist discourses and political communication in Southern Europe, symposium in European Political Science, ed. S. Salgado and Y. Stavrakakis. https://10.1057/s41304-017-0138-3.